The Oracle Excellence Awards for Specialized Partner of the Year – North America recognizes PwC for their outstanding work in driving customer success through a connected supply chain integrated solution delivered via a preconfigured Oracle Cloud environment. Oracle partners accelerate innovation and customers upgrade to the cloud. From business planning and implementation, to connectivity and data center services, Oracle partners provide the support and services needed to maximize the value of Oracle Cloud solutions for customers’ organization. PwC worked alongside a telecommunications industry leader to ensure they remained relevant as new competitors and technologies presented new threats to their business. Through its Predictable Value approach, PwC identified process and technology opportunities to improve operational metrics, and introduced emerging technologies to enhance our client’s competitive edge. 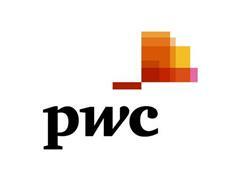 In the end, PwC identified where the client needed to go, and provided a value based roadmap to get there. Predictable Value represents how PwC delivers on helping our clients achieve and sustain competitive edge. It provides the actionable roadmap to modernize business models and empowers clients across sectors to own their future. “PwC has demonstrated an outstanding level of innovation in delivering proven, Oracle-based ERP and SCM solutions that solve our joint customers’ most critical business challenges,” said Camillo Speroni, Vice President, Worldwide Alliances, Oracle. “We congratulate PwC in achieving the 2018 Oracle Excellence Award for Specialized Partner of the Year – North America in Oracle ERP Cloud and Oracle SCM Cloud. PwC is a Global Cloud Elite Platinum level member of Oracle PartnerNetwork (OPN). The Oracle Excellence Awards for Specialized Partner of the Year – North America encourages innovation by Oracle PartnerNetwork (OPN) members, who use Oracle’s products and technology to create value for customers and generate new business potential. Oracle PartnerNetwork (OPN) offers opportunities for partners to accelerate and expand their business. Oracle would like to highlight their partners who are highly experienced and skilled in taking their customers on a successful path to the cloud.